Dr. Gary Tanner, M.D., a Board Certified Ophthalmologist, joined Hampton Roads Eye Associates in 2006, but has been serving patients in the Tidewater area since 1993 when his military service brought him to Virginia. Dr. Tanner earned his Bachelor of Arts at Hendrix College. He received his Doctor of Medicine from the University of Arkansas for Medical Sciences with Honors. After an internship in San Diego, he became a Naval Flight Surgeon. He enjoyed his service to the Marine Air Groups in North Carolina. Dr. Tanner then returned to San Diego to complete his residency in Comprehensive Ophthalmology at the Balboa Naval hospital. Dr. Tanner served as Chairman of the Ophthalmology Departments at Camp Lejeune, NC and the Naval Regional Medical Center in Portsmouth, VA prior to his retirement from the Navy in 2006 with numerous honors. 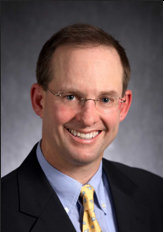 Dr. Tanner, a Diplomate of the American Board of Ophthalmology, specializes in the latest techniques in cataract and oculoplastic surgery. In addition, he has extensive training and experience in the care of glaucoma, diabetic eye disease, and dry eyes, as well as comprehensive eye care. Outside of his Ophthalmology practice, Dr. Tanner enjoys biking, golfing, kite surfing, and reading. Dr. Tanner and his staff are great!!! I have worn glasses since I was 5 years. This is amazing. Dr. Tanner and his team are the best! Dr. Tanner and his staff took great care of me! I couldn't ask for a better doctor! Dr. Tanner and his team were fantastic! Best I've seen in 55 years! Dr. Tanner is the best doctor I've ever had!!! Excellent patient care by doctors and nurses! Super happy! Best doctor ever!! Dr. Tanner is very attentive and thorough. Super happy with Dr. Tanner! Prompt, courteous and knowledgeable. Would recommend Dr. Tanner to anyone! Dr. Tanner and staff are wonderful! Dr. Tanner knows what he's doing. Excellent caring doctor and staff! Dr. Tanner changed my life! Dr. Tanner and staff were exceptionally helpful and friendly! Doctor and staff were superb and get my strongest recommendations!! Couldn’t be happier with eye care! Ecstatic with my eye surgery! Fantastic treatment, great people. I would recommend Dr. Tanner and staff to everyone I talk to. They're great. Very competent plus efficient plus friendly. I'd vote Dr. Tanner and his team 10 if possible! Surgery made a big difference! I dearly have the best most attentive doctor very concerned with me, always have used a bedside manner, given me proper instructions, I would not have a better doctor, many thanks! Pleasant staff and helpful. Dr. Tanner was very caring during our mother's post op vision we appreciate his bedside manner.